EPs are well-suited for the intense, chaotic world of extreme metal. Arsis’ A Diamond For Disease, Vader’s The Art of War, and Scars’ The Nether Hell are all relatively recent examples of how to make a strong impression in less than 30 minutes. Unblessing the Purity is actually half that long, clocking in around 15 minutes in length. Still, the four songs contained within it are some of the best that the Swedish “all-star” side-project has ever written. The old-school homage to the sound of early Entombed and Dismember that was present on the Breeding Death EP and Resurrection Through Carnage is now a distant memory. The beastly speed and aggression of Nightmares Made Flesh showed how much of a difference two new members and Dan Swano’s switch to guitar could make. The band's sound morphed into something that sounded like Hypocrisy's uglier, meaner brother. This time, Swano and Peter Tägtgren are out of the picture completely, leaving Michael Akerfeldt to rejoin the other two original blood bathers: Jonas Renkse and Anders Nyström. Considering that Bloodbath never seems to have the same lineup twice, the consistently high level of quality found within their albums is impressive, to say the least. Unblessing the Purity may be a short ride, but it’s one that wastes no time in bringing the crushing heaviness that fans of the band are used to. Blasting The Virginborn comes roaring out of the gate with blastbeats (compliments of current Opeth drummer Martin Axenrot), the meaty guitars of Eriksson and Nyström, and Akerfeldt’s trademark roar. After the initial onslaught, a crushing mid-pace groove takes over as Kriksson, Renske, and Nyström lay down a sickeningly heavy riff. It’s not the only tempo change, as the eerie solo is played over a lurching Meshuggah-esque riff. Even with all of these tempo changes, the song is easy digest upon the first listen, thanks to Akerfeldt’s catchy vocal patterns. It does a great job of getting the adrenaline gushing. Weak Aside and Sick Salvation make up the middle portion of the EP and are the grooviest songs on the album. Both have their fair share of blasts, but massive amounts of headbanging is what they are meant to inspire. The last minute of Weak Aside contains some of the most fearsome sustained growls that Akerfeldt has ever enunciated, and are a huge contribution to the heaviness of the whole song. Mouth of Empty Praise is the longest and last track on the disc, and while it doesn’t quite groove like the ones before it, it packs enough speed and deliciously evil solos to make it a strong ending to what is a very strong EP. 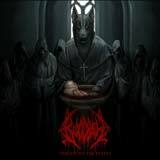 Unblessing the Purity is one step further into the direction that the band was heading to with Nightmares Made Flesh. There is still a slight hint of the desire to pay homage to old-school death metal found on Resurrection Through Carnage, but the groove, the riffs, and the crystal clear production job reek of modernity. Dan Swano’s departure didn’t seem to effect the riff department in the least. The riffs created by Nyström and Kriksson are so heavy, dark, fresh, and catchy that it really makes me wonder how much of an impact Swano had on the last record. Regardless of who wrote what, this is a fantastic, yet brief slab of Swedish death metal done right. Anyone who calls themselves a death metal fan would be doing themselves a great disservice by not picking this up.